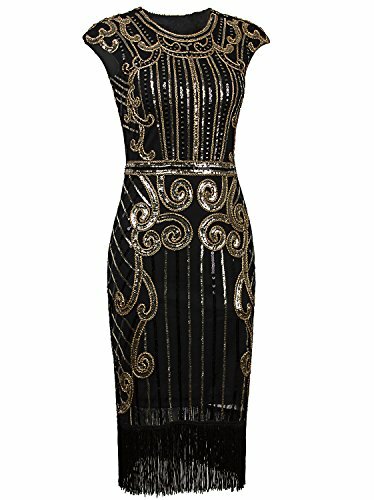 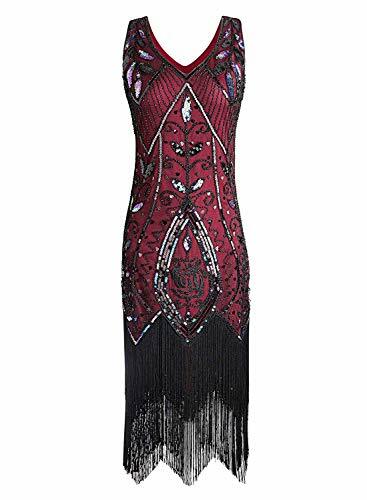 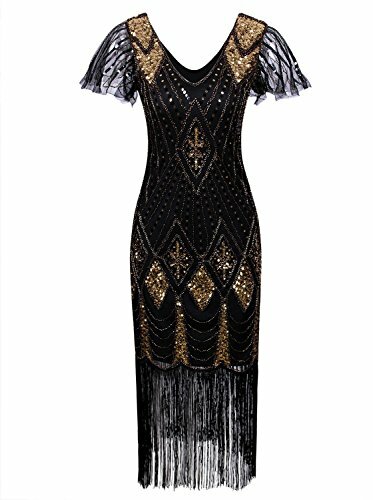 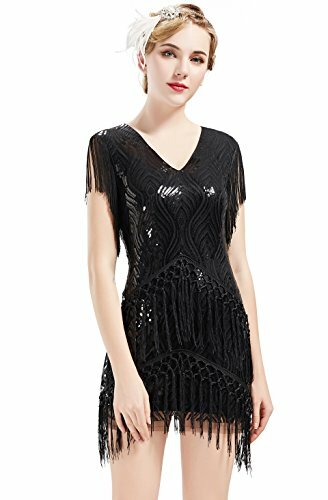 This is an amazing, hand sequin beaded, 1920's style flapper dress with a lot of detail! 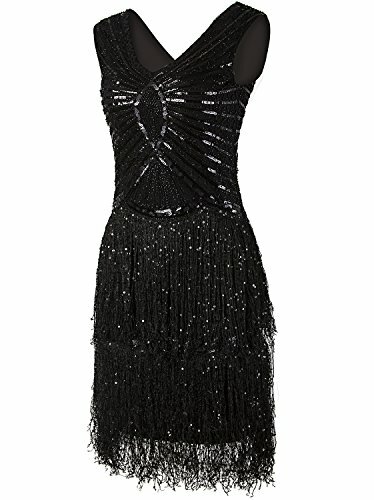 Dress is made of stretchy fabric and fully covered with elegant fringe and sequins. 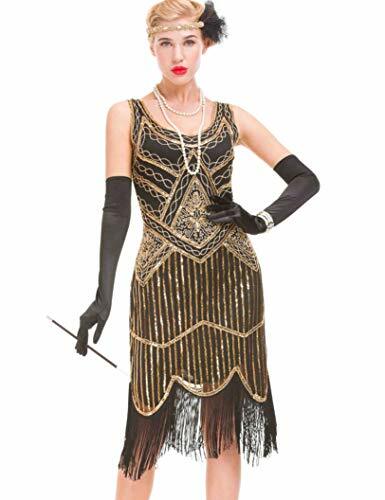 The hanging long fringe moves beautifully during walking or dancing. 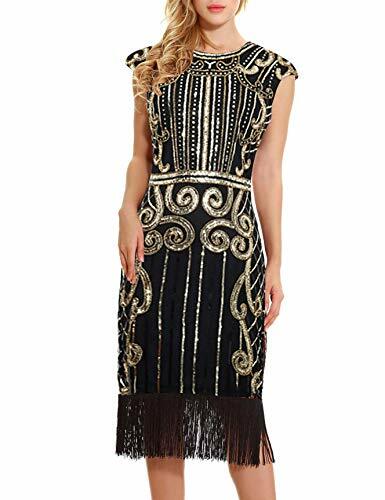 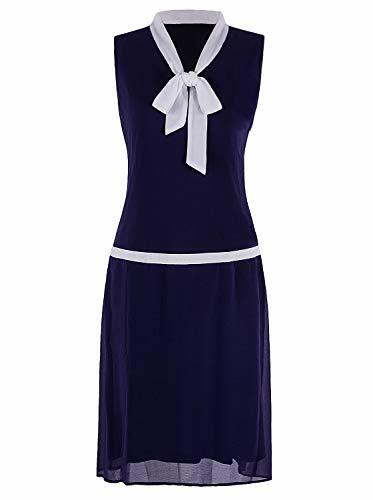 At very reasonable price, good to wear on any occasion like party, engagement, 1920s themed party, wedding, dancing, social event, birthday and prom party.